Founded in 2005 by a group of experienced real estate professionals, Silverstone Partners, Inc., is a real estate development, acquisition and asset management firm focused on multi-family housing. 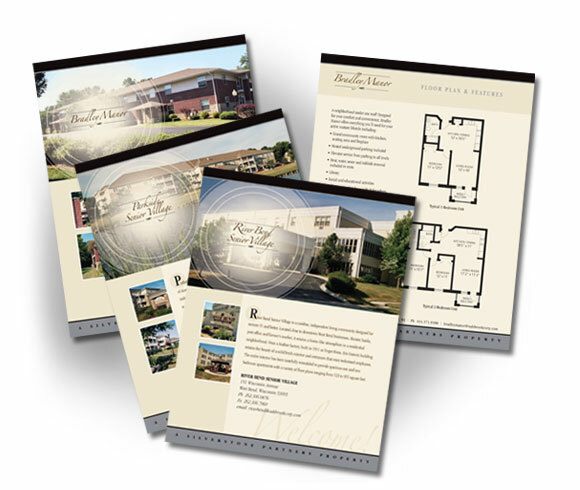 For their corporate materials, we developed an elegant pocket folder with custom die cut pockets, metallic ink, embossing and foil stamped design elements. 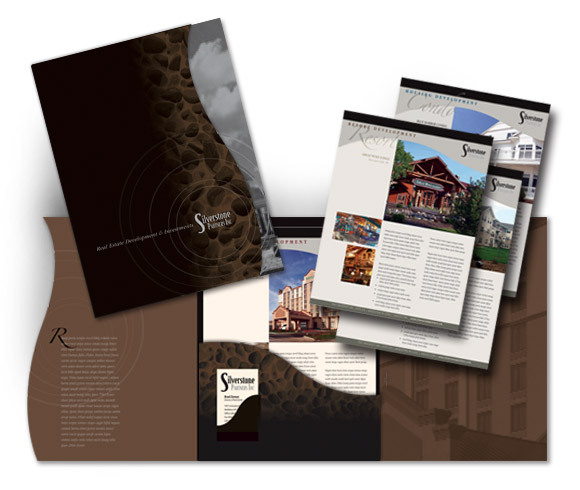 The folder contained a pocket to hold the corporate brochure and another pocket to hold a variety of property description sheets.